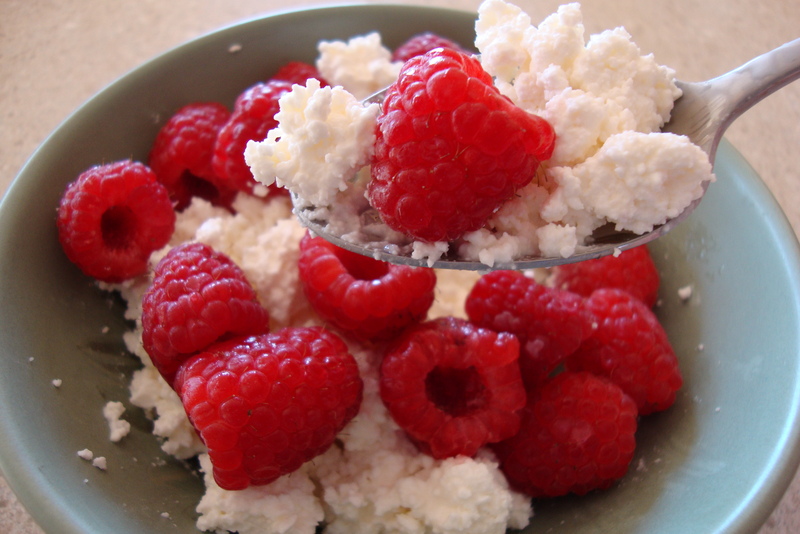 Homemade cottage cheese with cream and fresh berries - a yummy snack! I never really liked cottage cheese until I tried homemade. What a difference! You control the salt and the amount of liquid in the final product. And it’s actually pretty easy to do! We choose to use raw, organic, pastured milk products and are lucky enough to have a trusted source in our local farm share. Benefits of raw milk are numerous and are discussed in detail at The Weston A. Price Foundation and A Campaign For Real Milk. Pasteurizing milk destroys beneficial lactic acid producing bacteria that protect milk from pathogens. Pasteurization destroys vitamin B12 and reduces milk’s mineral components. Traditional cultures have been using raw milk products for years and view it to be a treatment for many serious illnesses. 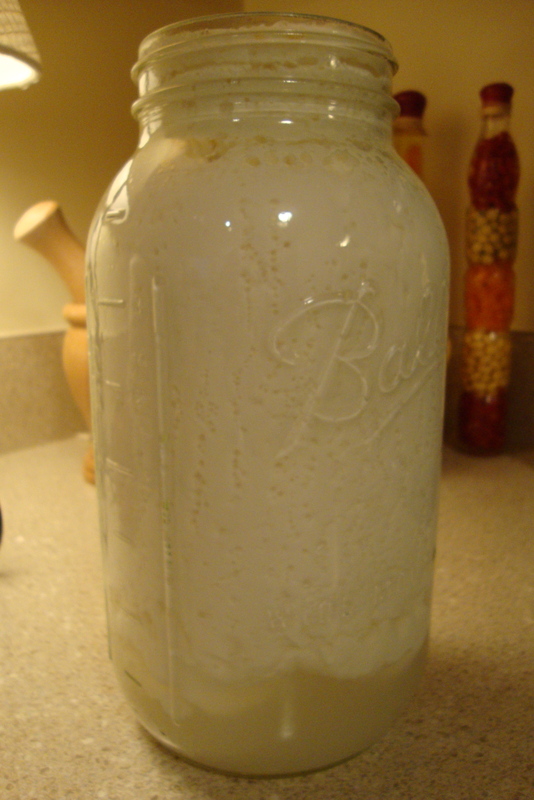 Raw milk is not homogenized, so shake the jar of milk well to incorporate the cream that rises to the top. Cover the jar with a CLEAN dish towel and secure with a rubber band. Leave the jar on your countertop for 24-48 hours. 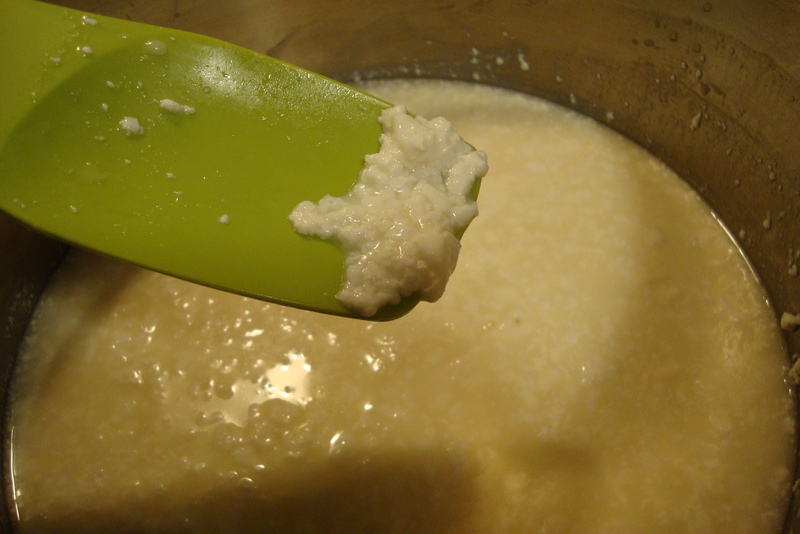 When you have curds and whey (as seen below), transfer the contents of the jar to a stock pot. On low heat, gently stir the milk. 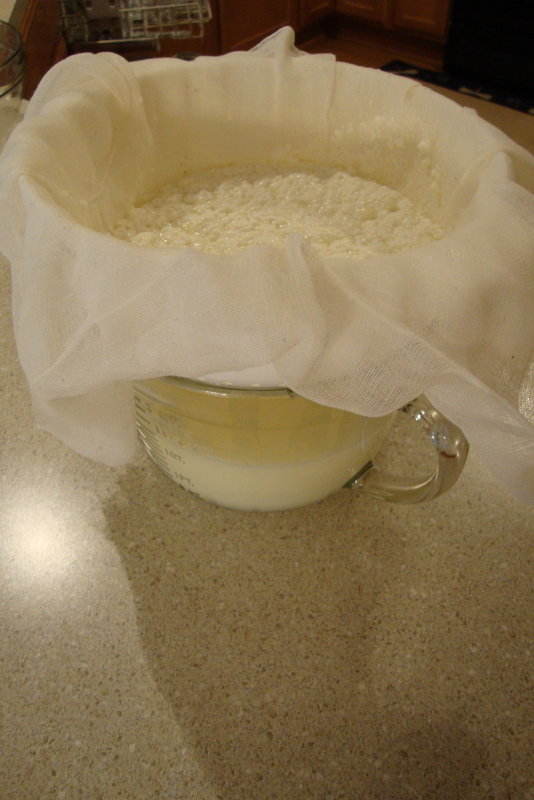 The heat will help the curds to firm up. This process takes about 5-10 minutes. You are not looking to heat the milk, just warm it gently. Store the cottage cheese in the refrigerator. To serve, I add a few teaspoons of raw cream and berries to the curds. Feel free to add a little sea salt if you prefer a salty taste to your cottage cheese. Cheese, Raw milk, Weston A. Price Foundation, Whey. Bookmark.